The maker of tiny gaming rigs has crammed a GeForce GTX 980 in its latest model. 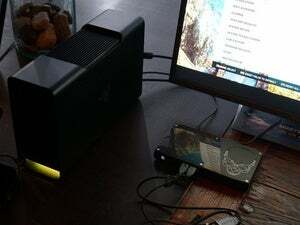 Gaming PCs that support virtual reality may be expensive, but they needn’t be hulking monstrosities according to Zotac. The maker of small-scale gaming PCs claims that its latest model, the Magnus EN980, will be the smallest VR-ready computer on the market. The Magnus EN980 will include a sixth-generation Intel Core i5 “Skylake” processor and a Nvidia GeForce GTX 980 GPU—presumably the mobile version that hits performance parity with its desktop counterpart—meeting the requirements for both the Oculus Rift and HTC Vive VR headsets. 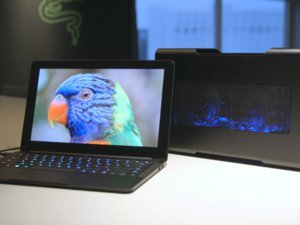 Other specs include USB 3.0 and USB-C connectors, HDMI and DisplayPort outputs (for up to four non-VR screens), Ethernet, and 802.11ac Wi-Fi. The system also includes factory-installed water-cooling to keep things quiet. There’s just one problem: Zotac hasn’t actually disclosed the size of the Magnus EN980, so its claim of delivering “a VR experience in the most compact form factor” can’t be verified. Zotac’s press release also doesn’t mention RAM, storage, or operating system, so it’s unclear if this is a bare-bones system or a full PC. 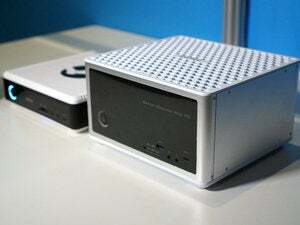 (Zotac's mini-PCs tend to be bare-bones PCs, however.) There’s no word on price or release date either. 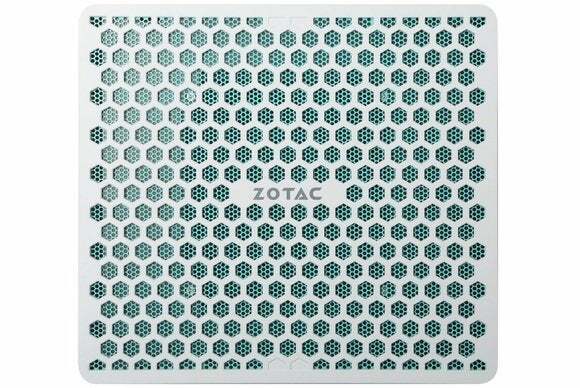 Zotac is promising to show off the Magnus EN980 at the upcoming Cebit and GDC conferences this month, but in the meantime we’ve reached out to the company in hopes of getting some more information. Why this matters: Given the space requirements for the Vive VR (and Oculus Rift, once its hand-tracking controllers arrive), the living room could be a better place for virtual reality than an office room with a desk. And in that case, it would make sense to have quiet, entertainment center-sized PC than an full-sized desktop rig. Zotac is hoping to fill that role with the Magnus EN980—provided the PC is as small as the company suggests.